These beautiful blue fowl originated in Andalusia, a province of Spain, but have long been known in England and the United States. They are magnificent to look at with their graceful, stately carriage and delicately blue-laced plumage; and this marks them as an especially fine breed for exhibition. The ideal feather color is a beautiful slate blue with a narrow lacing of darker blue. The male has a cape of lustrous blue-black, sometimes shading almost to a dove gray, and feathers from this are fine material for tying artificial flies. Skin color is white and shanks and toes are a leaden blue. 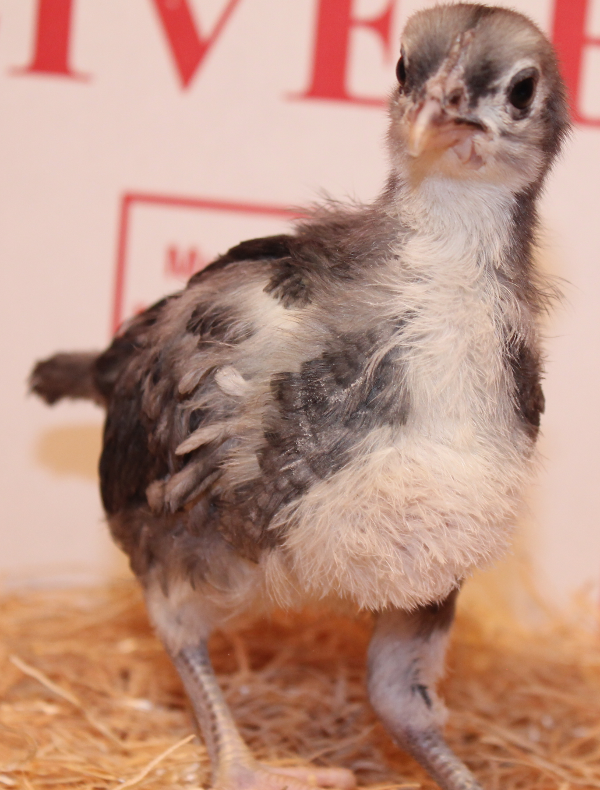 Andalusian hens are fine layers of white or slightly tinted eggs with very little tendency towards broodiness. Both sexes have long, deep bodies, well set up, with plenty of vitality. In size they are bigger than Leghorns, about the same as Minorcas. THE COLOR BLUE: A unique genetic feature of this breed is the constant recurrence in the offspring of not only all blue chicks, but also the black, white, and black-white colors used in the original matings many generations ago to produce these blue birds. All of these chicks carry the blue genes and when mated black on white or with other blues in turn produce many blue offspring. In our breeding flocks, however, only blue males of the finest color are used. While all chicks carry the Blue genes, not all chicks will be blue. When shipped, these chicks will be between 28 and 63 days old. At 28 days old, most chicks do not require supplemental heat, and so can be started out in your coop. They are vaccinated for Mareks and Coccidiosis. They have been watered with Quik Chik and given Gro Gel. They are raised on an all natural GMO-free feed. 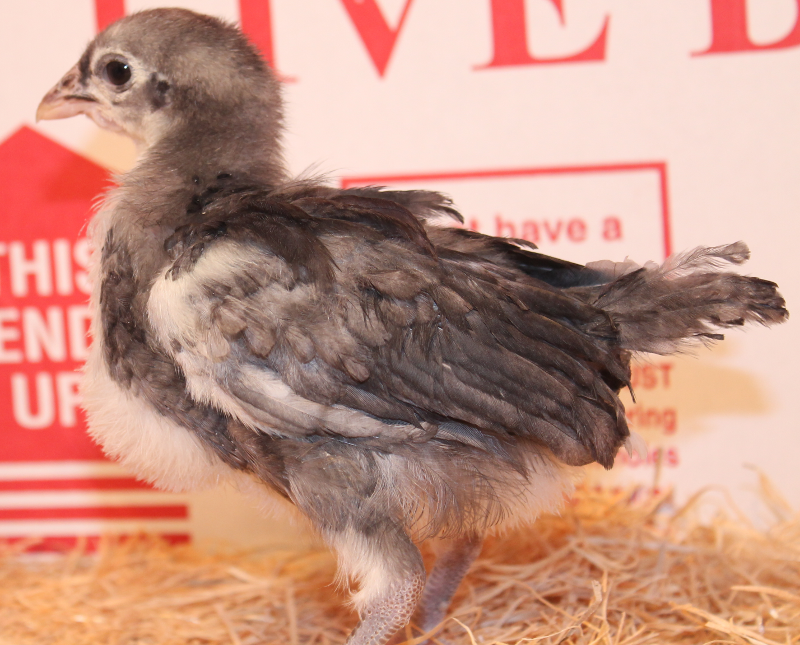 Because they do not require supplemental heat, we are able to ship as few as 1 of these 4-9 week old chicks. You can mix and match any type of 4 week old chicks in your order. Will these birds do ok in Maryland winters? Their cold tolerance is ok. The biggest thing to worry about would be their combs / waddles might become frost bitten. It usually doesn't hurt the birds but could turn black and fall off. It can effect males fertility as well.